SAN FRANCISCO (KGO) -- Entertainer Bill Cosby's honorary degree from the University of San Francisco has been revoked in the wake of renewed allegations of sexual assault. "By his own statements in a court deposition made public in July, Mr. Cosby acknowledges behavior that is inconsistent with the University of San Francisco's criteria for a USF honorary degree. Across campus, discussion about whether the university should rescind the honorary degree has coincided with an important discussion on the broader topic of sexual assault and consent. As part of our continuing commitment to ending sexual assault on campus, on Monday, Sept. 21, USF hosted a news conference with San Francisco District Attorney George Gascn, Supervisor Jane Kim, and Police Chief Greg Suhr. Together with them and the city's other colleges, we announced a new protocol to ensure a coordinated approach for reporting sexual assault that meets the health, privacy, and safety needs of our students. Mr. Gascn also commended USF for its leadership on two unique, related initiatives: the online student training program Think About It, which educates students about alcohol, drugs, and sexual violence, and Callisto, an Internet-based program that enables anonymous online reporting of sexual assaults. Think About It was co-created at USF and is now in use at more than 500 universities nationwide, and, this fall, USF was the first university in the country to implement Callisto. As a Jesuit Catholic university, we believe there is a moral dimension to every significant human choice. We strive to take actions that are consistent with the Vision, Mission, and Values statement of the University of San Francisco in these and all endeavors." 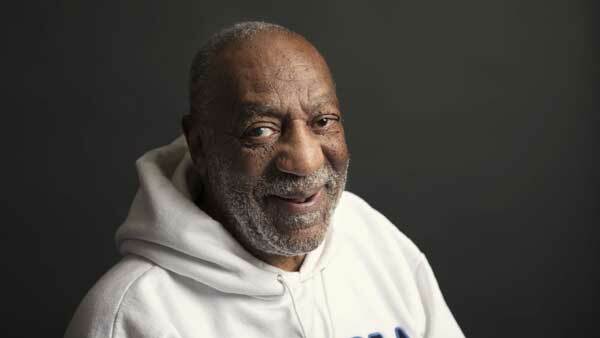 The university says they've sent a letter to Cosby informing him of their decision.